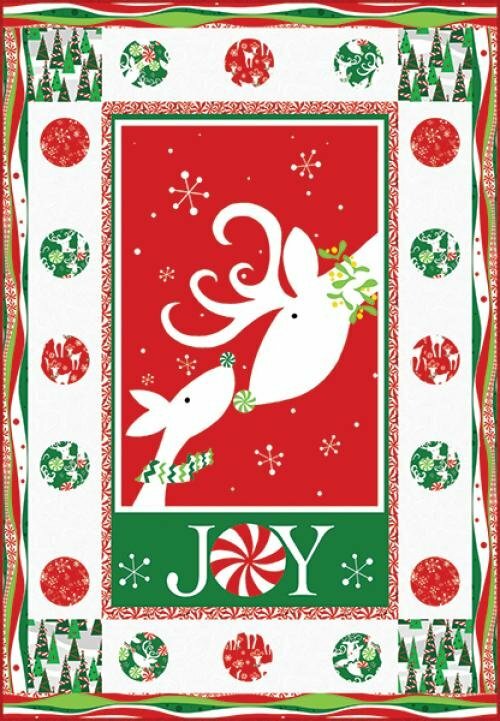 Celebrate the winter holidays with the cheerful Peppermint Reindeer Quilt Kit! The Peppermint Reindeer Quilt Kit includes the pattern and the fabric for the top and binding. The finished quilt measures 48" x 66".